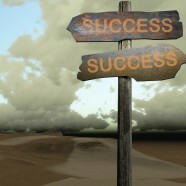 Home » Featured » What Does Success Mean To You? Success means different things to different people – our perception is what makes us all unique. When it comes to success I often feel that people put emphasis on more materialistic things. For me, success is about happiness and being content with what we do have rather than always striving for more. Don’t get me wrong more would always be welcomed but it is not essential for me to be happy. One thing that phases me generally about people is the lack of contentment in their jobs. So much time and energy is invested in our work place that I feel it is essential to be happy at work. Everyone gets frustrated by his or her job, it’s only natural to do so but when it becomes a long-term dissatisfaction it may be time to consider a career change. People generally seem to measure success by wages and money and I must admit I find it astounding that people would rank this higher or of more value than day-to-day enjoyment of life. There is a famous quote that goes something like ‘if you enjoy your job you will never work a day in your life’, for me this is so true. I absolutely love my job and there is nothing I would rather do on a daily basis, getting paid to do it is just a bonus. If you are at a point in your life where it is not practical to start fresh or begin a new career, would you consider a side project that may help you to make more money and eventually start a new career? Trading might be the right choice for you. For more details about how you can start trading along side your job please get in touch and find out about our courses.